This is a work in progress, with the beginnings of details and possible projects being sketched out along with critical resources for completion. All advice, feedback, and suggestions of source material are appreciated at this stage of things. Not all of the projects will happen in this order and not all are set in stone. Everything is an idea at this point and I’m not done with the list either. (Hey, I still have a few months, right?) Nevertheless, I’m looking for all the help I can get. Section 1.01: What shall we eat? The salters began in the manufacture and trade of salt, a key commodity in a time when salt-curing was the only real way to preserve meat for any length of time. Project: Curing meat. Make some bacon. Originally the Guild of Pepperers, the grocers became the merchant guild supporting the importation and sale of bulk foodstuffs.Projects: Wheat — from the field to the ovens. Also the tao of peppercorns. The Fishmongers were granted a royal monopoly on the sale of fish in the city of London in 1399 by Richard II. Through most of the period before the Reformation, Three days a week were ‘fast days’ not counting Lent, making fish (not considered a meat by doctrinal standards) a supremely lucrative market to corner. Project: Get on a boat and go catch a fish. No, really. Out to sea with you! Then bring it home and cook it. Brewers brewed beer on an industrial scale, setting the standards and trade practices for an important comestible in the days before water purification. Historians estimate that northern Europeans drank an average of three liters of beer a day; it was of widely variant alcohol content (hence Henry VI proposing that drinking ‘small beer’ be a crime in Shakespeare’s play) but that’s still a lot of beer. Research Note: Strangely, the spectacles makers first aligned under the brewer’s banner before being granted their own charter in the next century. The other half of the twin staples of the medieval and renaissance diet: bread and beer, the bakers were immensely powerful in early modern society. Most villagers could not afford an oven of their own, so communal ovens were often created or the village baker would bake the loaves of the village goodwives for a nominal fee. Note: The function and nature of yeast was not understood until the latter half of the 18th century. The brewers and bakers worked together in this mystery, the bakers obtaining their yeast from the brewers stocks as often as from natural sources such as apple trees, oddly enough. Near and dear to my foodie heart (especially considering the inspiration of this project) this is also the smallest of the livery companies, the cooks were a confederation of those who made food for others. They are just as you might think they are, those who guide and control the slaughter of livestock and the sale of their meat. A crucial force in a time before refrigeration, it was the butchers who held their members responsible for selling meats that had been properly cured or freshly killed and punished those who sold bad meat to the detriment of public health. The poulters were responsible in much the same way as the butchers for the regulation of trade and husbandry for all poultry, including chickens, ducks, swans, pigeons, as well as rabbits. The orchards and gardens of England produced many fruits for the tables of the renaissance. The fruiterers governed the trade and quality of the fruits both fresh and preserved imported into the city. Project: Cider from the tree to the press to the bottle. Get thee to Yakima! Section 1.02 What shall we wear? Those who held and protected the mysteries of dyed cloth and traded in the dyestuffs used for same.Project: Experiment with period dyestuffs, maybe a madder and an indigo. The combination of the Shearmen and the Fullers, combining two aspects of the creation of woolen cloth. Taking the woolens from the weaver and then fulling and trimming it into the material used for darn near everything in the 16th century. Project: Time for a discussion of the many period forms of woolen cloth available in the 16th century and how they differ from the modern ideas of wool. Project: Patter drafting and draping techniques with Joel Reid, who has graciously volunteered. Trade in furs and the management of the trade of furs and fur garments in a time when the wearing or possession of same could be a crime. Projects: Zibellini and the Victorian imagination — the myth of the flea fur. Project: ??? Yeah, not sure about this one. Three associations of merchants and purveyors of cloth, the Mercers, Drapers, and Haberdashers are weirdly intertwined and overlapping, often to the point of creating confusion even in their own ranks. The haberdashers at least had a focus on small goods: combs, mirrors, sewing supplies (needles, pins, and cetera). Great Google Books source material here. 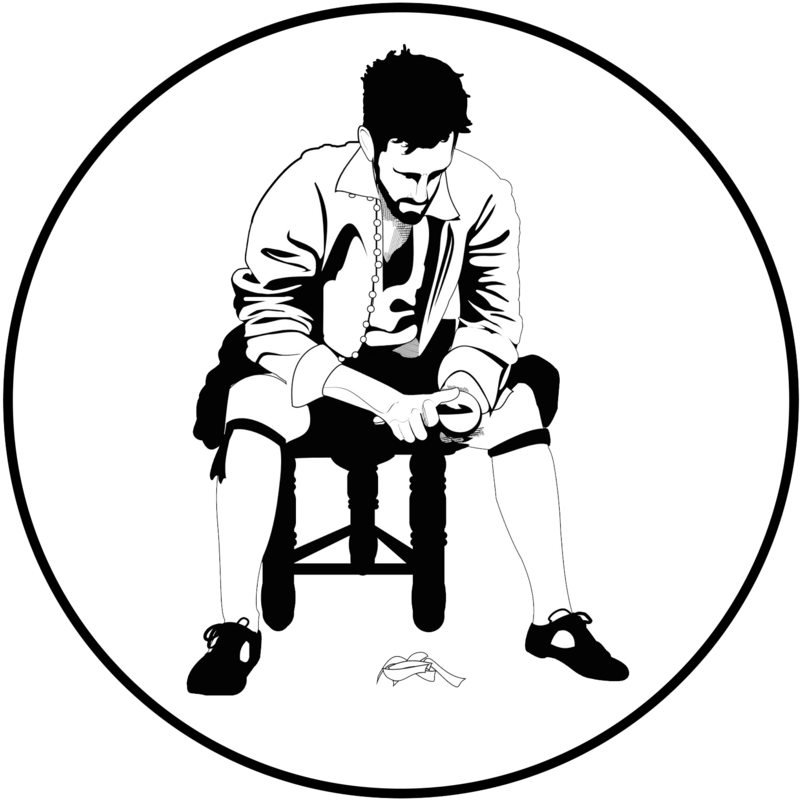 A guild that controls the sale of leather goods and inspects every hide and leather good in London to verify quality and origin, punishing imposters who attempt to substitute one skin for another. This gives them control over the crucial supplies that are the lifeblood of those whose livelihoods require leather, including the Cordwainers, Curriers, Girdlers, Glovers, Glovers, and Saddlers as well as some of the ancillary goods that arise from the manufacture of leather, such as the Tallow Chandlers. It’s interesting to note that despite their prominence on the Leatherseller’s website, the making of leather bottles was the province of the Horners Company. Makers of luxury goods: fine belts for the gentry, including sword belts and hangers. Fine leather used in the production of shoes and other luxury goods, mostly from cordovan, a goat leather developed in Spain and considered to be the finest available in the period. Quite possibly the earliest craft mastered by human hands, the weavers style themselves “The Most Ancient” for good reason. Originally the most powerful of all the textile guilds, the weavers waned in power as the specialist textile guilds rose: the mercers especially. Projects: Warm up that loom that’s in the living room. Those who cured leather for eventual use by others to create trade goods. Project: Cure a hide? I am so very much not looking forward to this one. The broderers were artists in thread, the embroiderers who adorned everything from tapestries to clothing, even creating home embroidery kits reminiscent of modern cross stitch kits. Project: Soapstone casting — make a pendant or a hat badge. Project: Yeah, I still dunno. Project: Hilt an eating knife or cooking knife? Project: Beekeeping and wax candles. Project: Rushlights! LARD; it’s not just for dinner anymore. Obvious, isn’t it? They made saddles but not usually tack. I didn’t know that bit about the spurs, but it certainly makes sense. Their status as an independent entity is uncertain (to me) at this time, but tied to the saddlers. Project: Lost wax casting in Brass. Makers of wooden containers comprised of staves including, but not limited to, barrels, buckets, tankards, and other containers for wet and dry goods. Project: Visit Patrick’s Friend. Maybe a trip to Maryland? Makers of furniture and interior house-fittings such as doors and elaborate panels, masters of the mortise. Those who made square things round. Masters of the lathe and all things prescribed thereunto. Project: Weave a basket, of course. Project: Glass in an Elizabethan home. Making period nails and assembling something with them. Perhaps a nice chest or something? Project: Build a brick hearth for the back yard. The Worshipful Company of Parish Clerks did not incorporate as such during the Tudor period, but existed without a charter, regarding their ecclesiastical existence as equivalent to, if not superior to, the system of guilds. Project: Quills, inks, and the strange mysteries of Elizabethan secretary script. Project: Would this include plaster moulding or maybe just painting a fresco?